Xīn Nián Kuài Lè 新年快乐 – Happy New Year – or Gōng xǐ fā cái 恭禧發財 – Happy Lunar New Year – everyone although it is probably way to late for New Year’s greetings because Chinese New Year was already on the 28th January 2017. Today on the 15th day of the first month of lunar calender is Yuánxiāo Jié 元宵节 – the Lantern Festival which marks the end of the Chinese New Year festivities. The idea of the Yuánxiāo Jié 元宵节 goes back to the Western Han Dynasty (206 BC-AD 25). 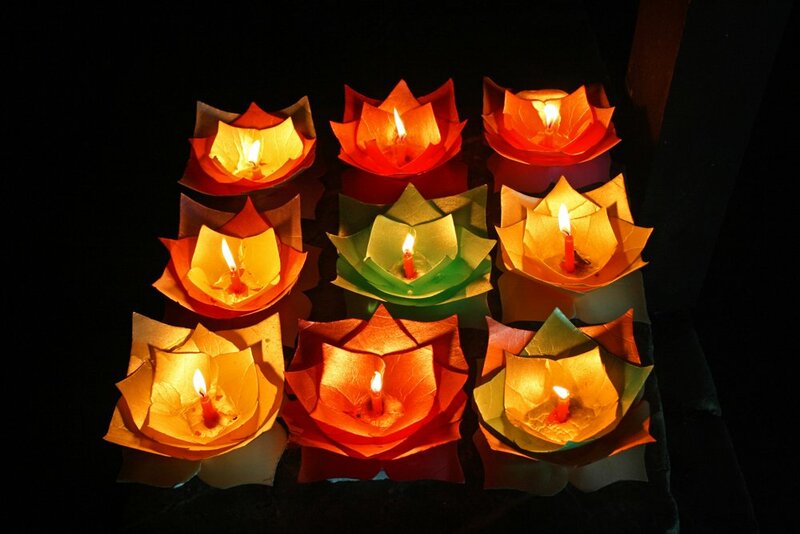 In China and Taiwan the Lantern Festival is celebrated with big lantern fairs. While the lanterns were quite simple, the lantern are nowadays fairly big and elaborately designed. They often present the form of the animals from the Chinese Zodiac, preferably the zodiac of the respective year. The lantern owners put small notes with riddles on the lanterns. People who know the answers may take the notes down and get a small prize in return. Customs and festivities differ in different regions. It is common to eat Tāngyuán 汤圆, sweet dumplings made of rice flour filled with white or brown sugar, sesame seeds, peanuts, walnuts, rose petals, bean or jujube paste. Two weeks the Year of the Rooster was heralded. Due to the Chinese Zodiac you are a rooster if you were born in 1933, 1945, 1957, 1969, 1981, 1993, 2005 or 2017. Roosters are very observant, hardworking, resourceful, courageous and talented and they are very confident in themselves. In regards of love they are best compatible with oxen and snakes. Famous roosters are Bob Marley, Jennifer Lopez and Britney Spears. During Chinese New Year I have never been to Mainland China but I celebrated the Lunar New Year in Hongkong in 2011. All informations used in this blog post stem from Wikipedia and China Highlights.